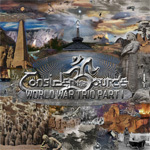 Absent from the studio for nearly four years, avant garde progressive rock trio, Consider The Source return with World War Trio Part I. The EP is the first of a triology to be completed with a double album of parts two and three in the Fall of 2015. Part I is a single song, Put Another Rock In That Bag, divided into five parts. 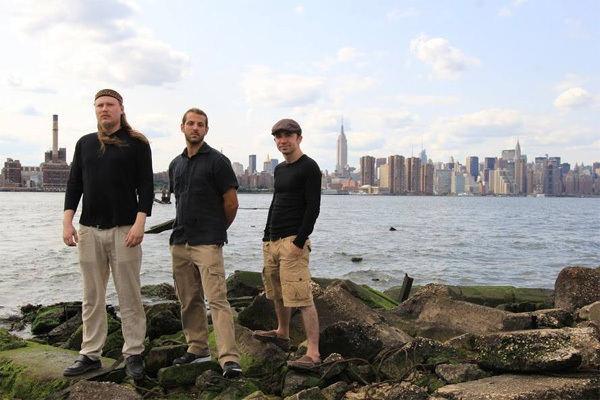 CTS composed all the material except for the fifth part which was written and arranged by Jan Zehrfeld from the jazz-metal band Panzerballett. Essentially what you have here is jazz rock fusion mixed with world music and played mostly through Gabriel Marin's eclectic and creative double neck guitar work. Eschewing keyboards, Marin provides much of his guitar wonkery through MIDI pickups and guitar synths. Much of the music sounds like material played by mid-Seventies jazz-fusion bands. In this sense, there's nothing really new or novel about the CTS sound. But there is a hill to climb at the start. Part I consists mostly of Marin's space rock geekery with his guitar. The guitar line wavers and wobbles with a large degree of irritation like a Theremin out of control in a Fifties sci-fi B-movie. Some of this returns in the fourth part, but it's not the major thread of the song. Yet, it's underlying presence widdles and lingers about in the background like a contentious gnat that won't go away. The sci-fi spooky piddling gets a final turn in Zehrfeld's arrangement, and then you're pretty much done with that whole thing. Praise Jesus. In between, however, are parts two and three, which are two delightful pieces of fluid, lively, and creative prog fusion. It's the best stuff here (making up only nine minutes of the music). Nevertheless, my conclusion after several spins is that, at just under 24 minutes, this was all the time I would have for this music. I could not imagine indulging in an hour and a half concert, especially with that whiny and wiry space rock guitar twaddle. (I'm making new words up as I go along) But I did listen to the EP three times, nearly 75 minutes. What does that tell you? 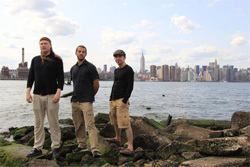 Consider The Source plays, essentially, Seventies jazz/rock/prog fusion with world music tones and space rock weirdness, but they do it with skill and creativity.